Teen Amateur Of The Week: Blake Shows Doubters The Door! Nobody will tell Blake how to live his life. 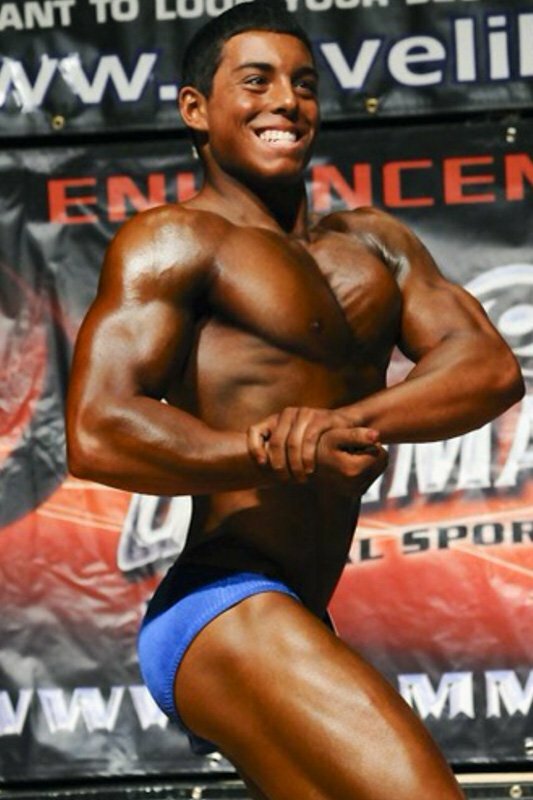 This teen battled and defeated health obstacles as a child and went on to dominate in sports and bodybuilding! I started bodybuilding during my sophomore year of high school. I played football the year before and separated my right shoulder twice in the same season, but I always had a passion for lifting weights. I decided not to play football anymore and started going to the local YMCA five days per week. I started reading Muscle & Fitness and FLEX and put together workout routines. Bodybuilding isn't popular in my hometown of Wheeling, West Virginia, although West Virginia is home to IFBB pro Erik Fankhouser. After reading bodybuilding magazines, I decided to adopt the lifestyle. I've been a type 1 diabetic since age four and had good education on how and what to eat to stay healthy. I was attracted to bodybuilding because it was a challenge against myself and I love pushing myself to the max. 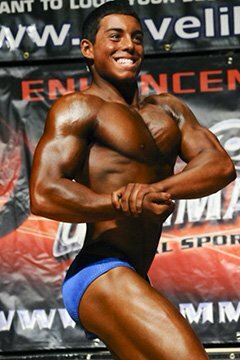 Two years later, I entered my first show at the 2011 NPC Natural Northern and won the teen division. The experience was amazing and I was hooked. On March 31, 2012, I competed at the NPC Natural Ohio and placed second in the teen division after a split decision with the judges. On July 21, 2012, I competed in the 2012 NPC Teen Nationals and placed sixth in the nation in the middleweight class. After my last show, I switched gyms and started training at World Gym in Bellaire, Ohio. The move to World Gym allowed me to continue making gains and learning about bodybuilding. Since I started bodybuilding, I have a more positive outlook on life and earned the respect of many people in and out of the gym. The discipline, hard work, and dedication will help me succeed in life. I discovered bodybuilding was my passion around age 17 because I could better myself. It was up to me to put in the work and dedication to get ready for the stage. Unlike team sports, in bodybuilding its up to you to be the best. I enjoy pushing myself and watching my physique transform. I definitely don't consider myself a guru, but I believe I have a good understanding of the sport. I'm always eager to learn new things about the sport. I gladly accept any tips or advice about training, nutrition, and other aspects. I was motivated to start bodybuilding by an old trainer of mine. My family was supportive and influential in my decision to pursue bodybuilding when I first started. There's always new information to become a better bodybuilder and live a healthier lifestyle. I'm inspired by the dream to become a professional bodybuilder. I can progress and make myself better every day and that inspires me. I look up to IFBB pros like Kai Greene and Erik Fankhouser. I love watching YouTube videos of Kai, who talks about the mind and its importance in bodybuilding and life. Erik Fankhouser inspires me because he's a professional bodybuilder, a family man, and works a full-time job. Bodybuilding alone is a full-time job and Erik's ability to manage all aspects of his life and be successful in all aspects inspires me. When I'm unmotivated, I tell myself the stage is waiting and I want no doubt in my physique. Bodybuilding is my life and I want to make a career of it. My future plans are to continue competing in the NPC and become an IFBB pro. I will be competing this July at the NPC Teen Nationals. In the future, I plan to pursue fitness modeling and open a nutrition store that offers personal training. I love bodybuilding and can only dream about my future as a bodybuilder. I hope to go far and leave a positive impact on others. My favorite competitor is Kai Greene. Kai is a prime example of what giving your all can produce. He came from nothing and never let it hold him back from becoming one of the best in the world. His mindset allows him to overcome hardship and achieve his dreams. Before the gym, I watch YouTube videos of Kai. Watching his motivational training videos and hearing how he thinks gives me the attitude to kill it in the gym and eat my meals on schedule. I strive to have the confidence and mindset of Kai. Bodybuilding.com has been an enormous help by providing me with products I need to be a bodybuilder. Their low prices, great customer service, and incredibly fast delivery made me a loyal customer. I wouldn't want to purchase supplements from anywhere else. Apart from the great store, the articles give me new ideas for training and nutrition. If you are interested in bodybuilding and fitness, Bodybuilding.com is the number one place to go for all your needs. I also want to thank my family for all of their support. Thanks as well to my sponsor, Liquid Sun Rayz, for providing me with the best competition spray tanning products available.